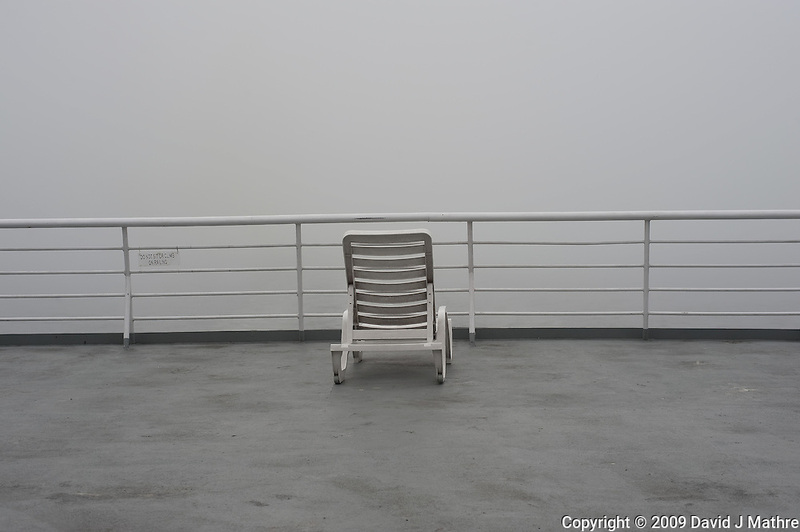 Lone Deck Chair on Misty Morning. Solarium Deck on the M/V Columbia Alaska Marine Highway Between Bellingham, Washington and Haines, Alaska. Image taken with a Nikon D3 and 50mm f/1.4 lens (ISO 200, 50 mm, f/8, 1/1000 sec).